CANADA NEED TO RELOOK IT’S IMMIGRANT POLICY - Integration Through Media ....! After the conclusion of the much publicised week long visit of Canadian Prime Minister Justin Trudeau to India and as he settles down in the aircraft for his return trip to Canada, Prime minister Justin Trudeau should be wondering as to why his visit to India virtually became an anti climax. The youthful Prime Minister with his young pleasant looking wife and three beautiful children were repeatedly photographed wherever they went in India and it made such excellent photo opportunity . Certainly, he was much welcomed in India by the people considering the image of Canada as a peaceful and forward looking country with broad vision and friendly approach to everyone. Given such conditions, Canada should have no enemy anywhere in the world. Then, why did Canadian Prime Minister had to face embarrassing moments during his trip , which has been more than once. The highest points of embarrassment happened when a Khalistan activist and convicted terrorist had been part of the delegation’s events in Mumbai and was personally invited to a reception by the Canadian High Commission in Delhi. No one in India was amused and certainly Canadian Prime Minister was put into discomfort. It certainly would have caused considerable unhappiness amongst his country men in Canada. Canada can be considered to be country of immigrants to some extent, as the immigrants constitute 21.9% of the Canadian population. A country with vast land area, enormous natural resources and with population density of just 3.7 persons per sq.km, Canada is certainly in a unique position to welcome immigrants. Canada’s comforts with immigrant population is in sharp contrast with countries like India which has population density of 440 persons per sq.km. Has Canada learnt from European refugee influx ? After the thoughtless policy of Germany and a few other counties in Europe welcoming the refugees from Syria and other countries in the last two years considering it as their humanitarian gesture and as part of their duty to suffering humanity, Europe is now regretting that the influx of immigrants from all sorts of countries have created huge social problems in European countries like Germany that is now threatening to upset the demographic balance in the region. There is considerable suspicion amongst people in Europe that the repeated terrorist attacks and violent incidents in Europe in recent times have been due to the unchecked and unverified influx of refugees. However, when many Europeans were very critical about the liberal refugee policy of Germany, Government of Canada clearly said that it would welcome immigrants. The time has now come for the Government of Canada to introspect as to whether such liberal immigrant policy has really done good for Canada and whether it would have serious long term adverse implications by creating social disharmony, tensions and spread of violence. Prime Minister Trudeau should have been shocked to see the anger amongst cross section of Indians due to their suspicion that Canada has given safe base for Khalistan activists , who want separate country by splitting India. While Canada is entitled to have it’s own immigrant policy welcoming people from everywhere , it would be doing great harm to the world peace and harmony ,if it would not carefully screen the immigrants and keep them under firm control to prevent them from entering Canada with ulterior motives of waging separation war in their country. This is what members of Khalistan movement living in Canada did.. In the past, Sri Lanka has also expressed unhappiness and disappointment about the Canadian government giving free space for LTTE militants in Canada ,who operated without much restrictions to conduct their movement to have a separate state in Sri Lanka for them. With around 21.9% of the population of Canada constituting immigrants and more immigrants entering with out being subjected to much scrutiny and verification, it is suspected that there may be number of small groups in Canada who may use Canada as their base to conduct protest movements and liberation struggle in some other country. 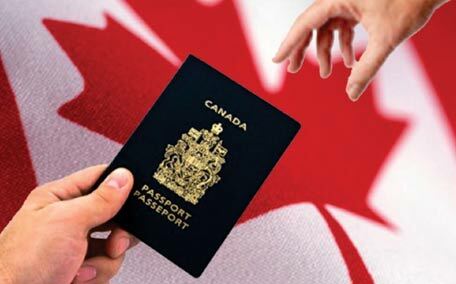 Canadian government gives an impression that it is not aware of undesirable activities of section of immigrants. Can one think that the Government of Canada is naïve? It is high time that Canada should realize that while practicing it’s immigration policy which it terms as part of humanitarian gesture to entertain immigrants from everywhere, it cannot allow Canada to become a base for immigrants to harm the interests of some other countries.